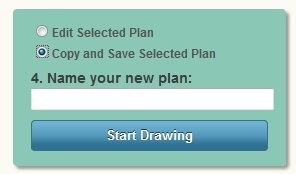 Upon logging in, you will view the Step 1: Plan tab. 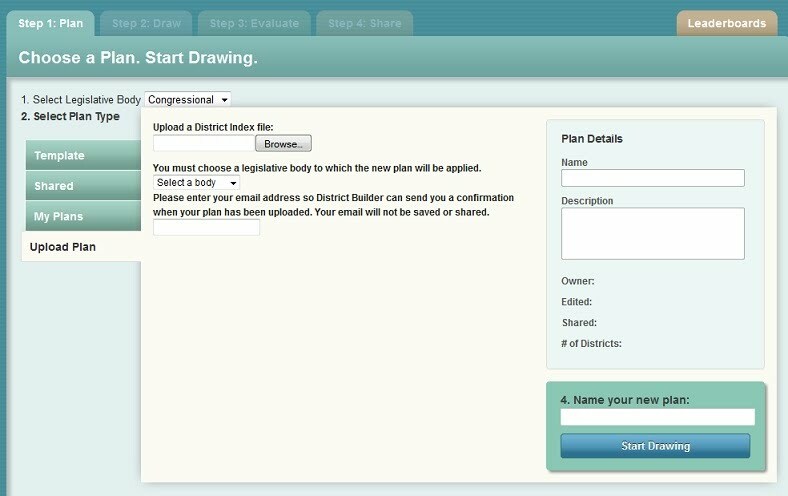 This area of the website is for managing the redistricting plans available to you to edit (if logged in with an account) or view (if visiting as a guest). 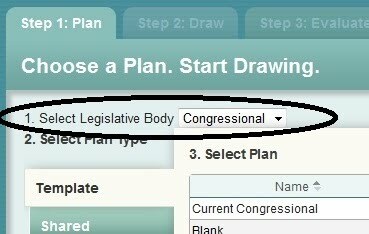 In the redistricting world, a plan is a complete set of districts for a state or locality. 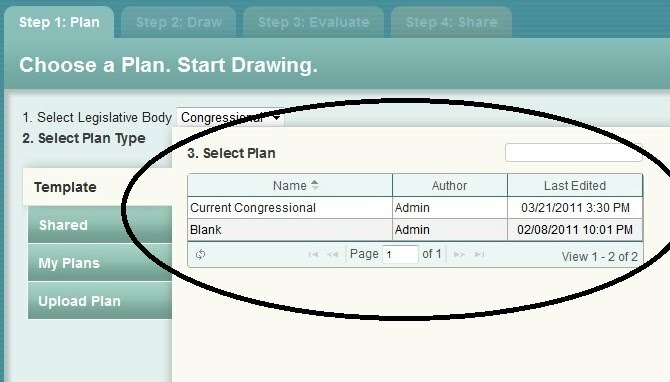 You are not required to create a complete plan for all the districts, you could, for example create a plan that has only a single district. We treat all partial or complete plans the same. 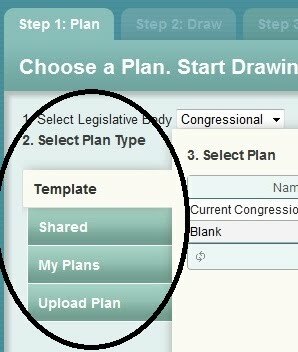 You must select a plan to edit before you can start mapping. As you look at the Step 1. 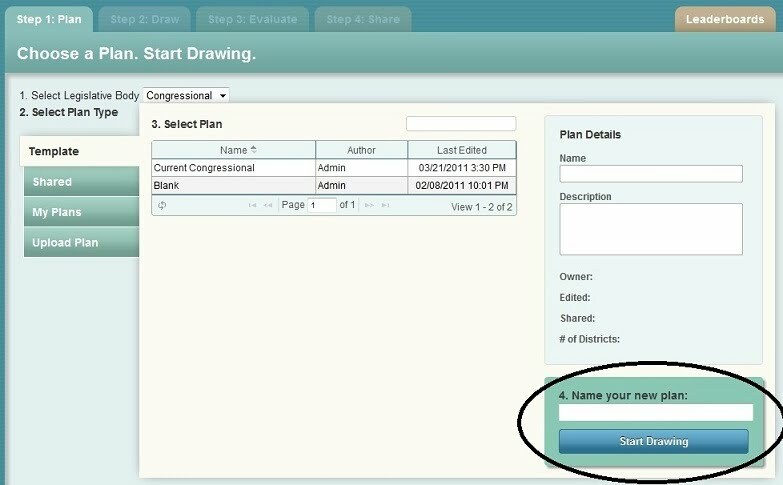 Plan Tab, you will notice that there are four numbered steps that you need to take to start drawing your first map. 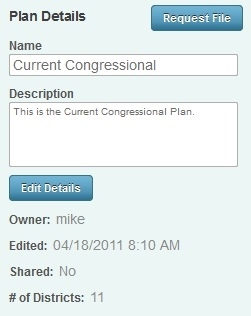 Template plans are pre-generated plans that are provided by the administrator. 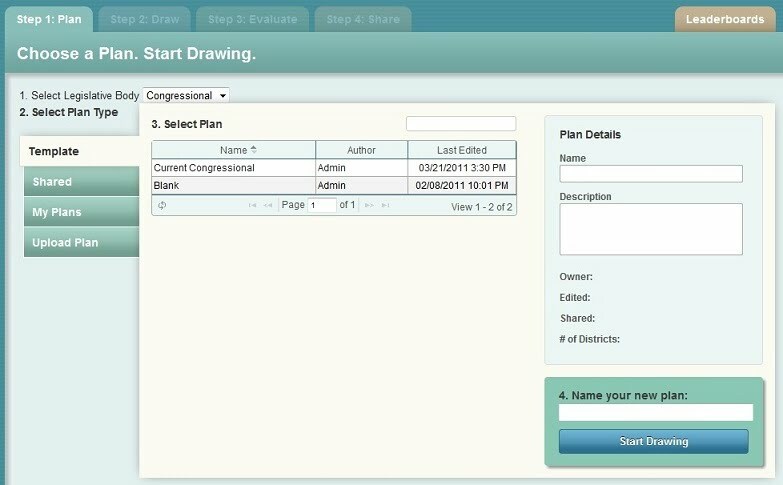 These may be the current plan, a blank plan with no geography assigned to a district, or any other plan that the administrator may choose to designate as a template.